Tudor is the CIO and Managing Partner of Avaelgo - a Microsoft 2018 Country Partner of the Year company based in Eastern Europe (Romania). As an IT consultant with more than 15 years of experience in managing complex IT infrastructures, he is a Certified Ethical Hacker, a Microsoft Cloud and Datacenter Management MVP and a regular speaker at local and regional community events. 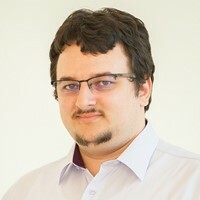 Tudor often talks about the latest technologies and trends with themes including cloud and hybrid networking & security, virtualization technologies, social engineering and information security awareness, web application security, white-hat hacking and penetration testing techniques. He is also one of the organizers of the ITCamp conference in Romania (itcamp.ro). His day-to-day activities include providing IT advisory services, designing and implementing IT solutions, as well as delivering technical training sessions for experts and beginners alike. The cybersecurity landscape is changing. Are you keeping up? The past couple of years have brought along new vulnerabilities, exploits and attack methods, as well as new data privacy requirements such as the GDPR. While all of these things require significant changes to any existing processes and tools, they mostly require a different approach when catering to people's IT security awareness. Do you know how exposed you are when you're connecting to the hotel/restaurant/airport WiFi? Are you aware how fast clicking on a link can become a nightmare? Come down for a quick overview and live demos of some of the current cyber threats, especially as they pertain to social engineering vectors. Almost every business decision requires executives and managers to balance risk and reward, and efficiency in that process is essential to an enterprise’s success. Too often though, IT risk (business risk related to the use of IT) is overlooked. While other business risks such as market, credit and operational risks have long been incorporated into the decision-making processes, IT risk has usually been relegated to technical specialists outside the boardroom, despite falling under the same risk category as other business risks: failure to achieve strategic objectives. With the emergence of the Cloud, IT Risk has suffered yet another radical transformation. This session focuses on specific plans on how to implement IT Risk Management on every level of your company in a Cloud-enabled world. When people talk about moving workloads to the Cloud, most times they just hear the technical mumbo-jumbo - IaaS, PaaS, SaaS, DevOps & automation, containers, and so on. This session argues we should perhaps sit back for a bit and discuss the need to develop a coherent, long-term Cloud strategy, even before taking the first step towards a Cloud-centric or hybrid approach. In the end, it’s all about looking at the hows and whys of moving to the Cloud, planning a clear roadmap of your migration, and making sure that once you get there, you can sleep better at night knowing you’ve got everything under control. You've just been hacked! Now what? It's 2019, a time when assuming your systems and applications are "unhackable" is one of the biggest mistakes you could do. While most people still think that prevention and maintenance remain a top priority in protecting yourself, building a clear process around how you will respond to attacks and data breaches during and after their occurrence is something often overlooked, or simply ignored. This session intends to bring the assume breach security posture into the spotlight. We'll be discussing recent trends in cybersecurity attacks (credential reuse, password spraying, insider attacks, 2FA-bypass, etc.) and look at the best ways to build your data breach incident response policy. Demos included.